Tardiness. Being late for your interview is an absolute no-no. There are many factors that contribute to tardiness the day of the interview: traffic, getting lost, or oversleeping. Leave plenty of time for the commute to the interview in order to ensure that you are early. Do test runs to the destination days in advance of the interview date. Go to bed early so that you will get enough sleep. You don’t know enough about the company. As soon as you receive the call for the interview, you should start researching the company. The more knowledge you have, the more conversation you can offer during the interview. Go over some questions that you think the interviewer will ask about the company during the interview. “Why do you want to work for us” is a typical question that may be asked during your interview. You’re too nervous. Sometimes the daunting nature of the interview process can be a deterrent to showing true personality. Take whatever steps you need in advance to ensure that you won’t be too nervous during your interview. A full night of sleep, a balanced breakfast, and a deep breathing exercise are great ways to help you shake the nerves and have an awesome interview. Failing to make eye contact. Eye contact is an important factor in communications of any kind. It shows that you are engaged in the conversation. Keep in mind that too much eye contact can come off as hostile or domineering. Feel out your interviewer from the start to determine what amount of eye contact is appropriate. Bad posture. If you have bad posture, now is the time to fix it. Poor posture makes you look insecure, uninterested, and stressed. Fidgeting. Try to look as poised as you can and keep your hands neatly folded in between hand gestures. Just avoid looking too much like a statue. Weak handshake. A good, firm handshake can exude confidence and establish a good first impression. A handshake that is too firm can convey an egotistical personality. No smile. Lacking humor during your interview will make you come off as cold. Remember to warm things up with an occasional smile during your interview. Turn off your cell phone. Although it may seem awkward to be without contact with the free world for an hour, it’s imperative that you turn off your cell phone during your interview. A blaring ringtone going off is the last thing you want to happen in your interview. Even a dull vibration can be disruptive. Wearing the wrong interview outfit can speak volumes. Be sure that you choose something respectful and appropriate during your interview, taking into account the type of place you are visiting. For women, garments that are too tight or have a plunging neckline shouldn’t be worn. Men should be sure that trousers and suits fit correctly and aren’t too big or too small. Your interviewer is more concerned about your ability to be an effective employee, not how fashionable you are (unless, of course, you are interviewing at a fashion company!) so keep it simple and appropriately professional. Are you ready to ace your interview now that you know what pitfalls to avoid? 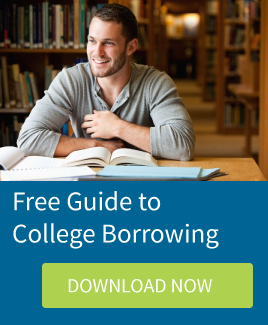 Download our Adulting Guide for more tips on life after college.